After my first experience at 98 Center, I had to go back for more. 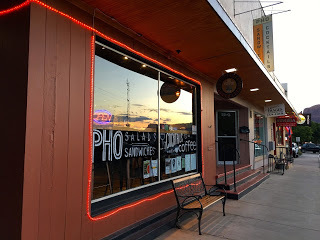 I was in Moab for a big BASE jumping event and after a full day of jumping off cliffs, I was so hungry--to 98 Center we went! 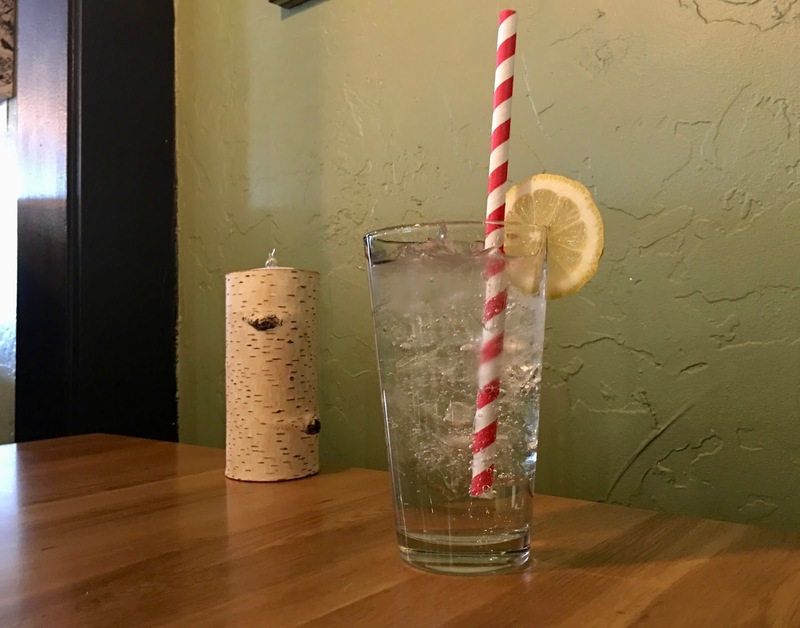 This quaint little restaurant has a lovely atmosphere and lovely staff as well. Even the water they brought us had character with it's candy cane straw! The last time I was here, I made the mistake of ordering a small pho and a big salad. I mean, it wasn't really a mistake except that it was way too much food. 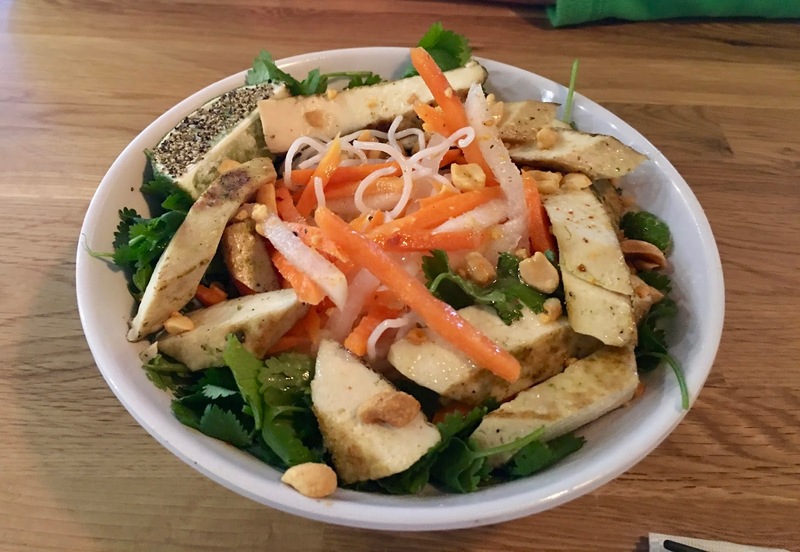 This time, I wanted to try the large order of Vegan Pho and no salad. 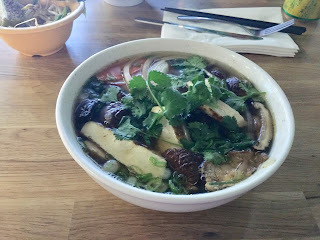 Loaded with shiitake mushrooms, lemongrass tofu, housemade roasted vegetable broth, and rice noodles and topped with green onions, bean sprouts, basil, serranos, and lime, this pho has so much good, rich, umami flavor. It was really good. 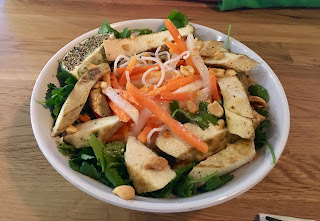 My friend ordered the Bahn Mi Tofu Salad with lemongrass braised tofu, cilantro, pickled daikon and carrot, and serranos in a housemade vinaigrette. He loved it. We did not get dessert this time, but were so tempted to order the huge vegan cookie we saw up in the case in the front. Next time! I can't wait to keep coming back to try more!